Sebastian Templeton can no longer show his face in public. Ever since the publication of a now infamous photo of him and his former valet embracing, an unspeakable word has followed Sebastian everywhere–a word with the power to destroy a man’s reputation forever. Knowing charges and a trial will soon follow, Sebastian does the only thing he can think of to escape: he volunteers for a war he feels is senseless and despicable, leaving beyind the boy he loves, but knows can never have. In the final installment of the At Somerton series, the war to end all wars will take an unbearable toll on the household and leave each member forever changed. Categories: Historical, LGBT, Romance | Tags: Leila Rasheed | Permalink. Categories: England, Historical, London, Romance | Tags: Leila Rasheed | Permalink. So I never meant to write a YA novel, let alone a trilogy. 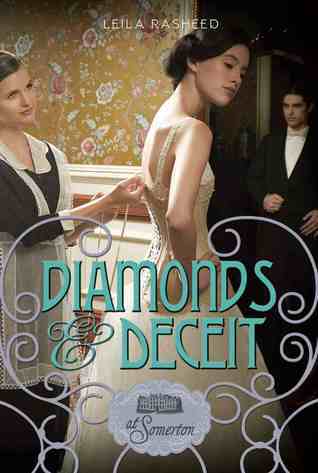 I was definitely into writing something historical, but I didn’t think it would be set in 1912. More like 8000 BC. And it would be middle grade, for that is what I write. Certainly not romance, because while I like to read a good romance plot as much as anyone, the idea of writing a snogging scene set my hair on end and not in a good way. So how did it happen that, approximately 1 month after my agent (the stellar Julia Churchill, then at the Greenhouse with the equally cosmic Sarah Davies, who actually handled the deal) emailed me saying ‘Do you fancy having a go at writing a YA Downton Abbey?’ I was drawing up a plot outline for a historical romance YA novel set in 1912? Well, let’s be frank, the main reason was money, which is one very good reason for any writer to do anything. I was going to have a baby and there had to be something I could do for a living that wouldn’t require anything unreasonable like maternity leave. (Not knocking maternity leave, it’s great if you don’t have to lose income).The other reason was because I thought, ‘Huh, never tried that. Sounds like it could be fun. Might learn something.’ Which is another very good reason any writer does anything. The fast moving on the plot front was because I looked at the schedule and figured that, if they gave me the gig, I’d have about three months to write the first draft. And it was Christmas. And all of publishing was on holiday till after the new year. And the book had to be 80,000 words long. 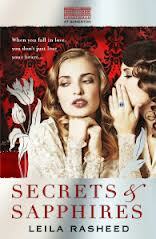 And did I mention I’d never written a YA historical romance before? So I didn’t want to waste who knows how many weeks waiting for the publishing world to get back to me with a full outline. I had been sent characters and key scenes and themes but no plot arc. So I wrote one, sent it to them and said ‘Will this do?’ They said ‘Yes.’ I got writing. I also got watching Downton Abbey – and I am so glad I did, I loved it. Much of my pregnancy was spent sitting in front of Downton. You know how some mothers-to-be play Bach to the foetus? Well, that, but with the Downton soundtrack. If my son grows up to be a butler I will know who to blame. Significant differences to being a middle grade writer so far? The amount of feedback I’ve had from readers for this book has been massive, compared to what I had for my middle grade, own-authored novels. I’ve had messages from German readers (Somerton is out in German), and on Goodreads I have 604 ratings as opposed to 29 for Chips Beans and Limousines. That has been fun. The bloggers, of course. Children don’t usually blog and post reviews of their favourite novels – YA readers do, and it’s wonderful to witness that enthusiasm and sense of community. Has it been a good experience? I’ve recently finished writing Book 2 (due out in January, entitled Diamonds and Deceit) and now I’m out of that firestorm and can breathe a little, I’d say yes. Trying something I never tried before has been fun. The short deadlines have not been fun – but they’ve been a challenge. Quite an invigorating one, with a first baby in the house at the same time. I have most certainly learned from the process. 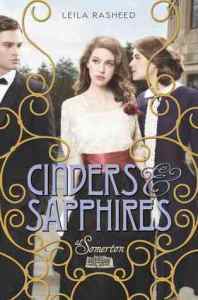 Cinders and Sapphires was the longest book I’ve ever written. I’ve learned a lot about handling multiple threads and viewpoints, and simply writing to that length. I’ve done a heck of a lot of research – The Edwardian House was a joy, so were the Mitchell and Kenyon films and re-reading Zuleika Dobson. I’ve watched a heck of a lot of Downton. I don’t resent the bad reviews and I’m delighted by the good ones. For a book written on a whim and a prayer, I’m stunned and thrilled that anyone likes it at all. Leila is happy to answer questions about writing publisher led children’s/ YA in the comments. Categories: Guest posts, Historical, Romance, Social/Family | Tags: Leila Rasheed | Permalink. The year is 1910. For the past decade, the Averley family has lived a life of luxury in India, but now they must return to Lord Averley’s ancestral estate, the sprawling, majestically beautiful Somerton Court. As the household staff hastily prepare for the family’s arrival, they receive shocking news: Lord Averley is bringing back a fiancée with three children of her own, and on top of that, there are rumours of a terrible scandal surrounding Lord Averley’s resignation as Lieutenant Governor of Bengal. As the family settles in, tensions arise both upstairs and downstairs. 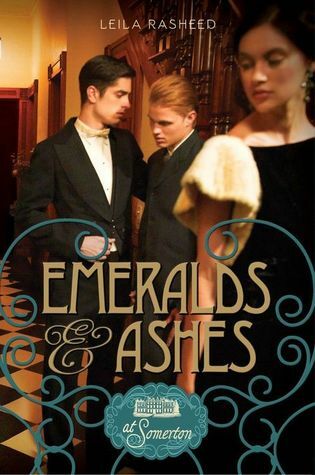 Lady Ada must choose between her honour and her heart, Sebastian must fend off ruinous threats from a former servant (and lover…) and gentle housemaid Rose will find herself at the centre of a scandal so enormous it could destroy the Averleys’ reputation forever. Categories: England, Historical, Social/Family | Tags: Leila Rasheed | Permalink.